Today we launched another type of buoy. It is called a Mooring Buoy. Its height is 5 meters above the surface (pictured on left) and 72 meters below the surface, which ends with a concrete dome that weighs 4110 (pictured on right). You can see the mooring being towed by the ship to get it into the right position. It has a barometer (measures atmospheric pressure), an anemometer (measures wind speed) and a thermometer on the top. There are sensors at different depths that measure salinity, chlorophyll, temperature, pressure, and nitrates. 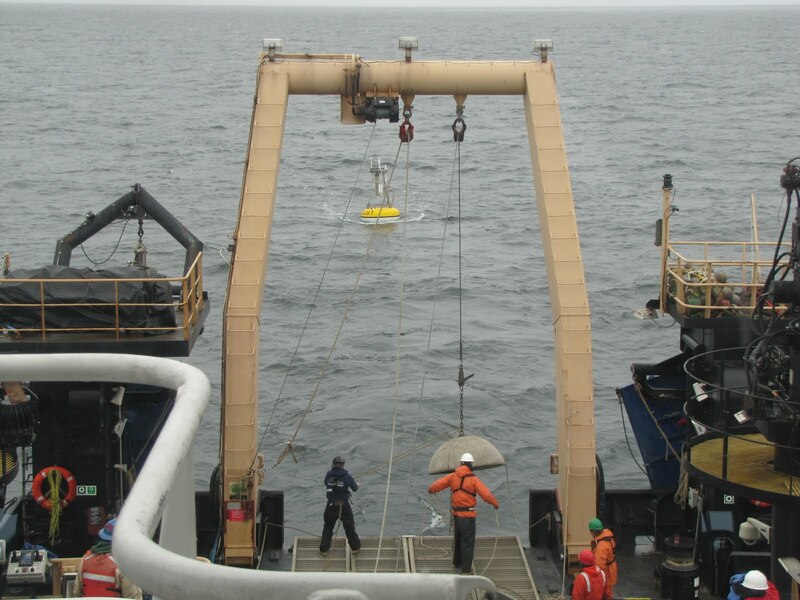 The information is transmitted to satellite Pacific Marine Environmental Lab (NOAA) that monitors the surface and subsurface of the Bering Sea. This piece of equipment costs $250,000. There are two other moorings already in this location. One measures ocean currents the other measures acoustic plankton. On one it has an underwater rain gauge. Can you figure out what that means? Headed to the Pribilof Islands today. On the way some crew saw sea ice. I’ll be looking! I love reading everyone’s comments. Keep them coming! 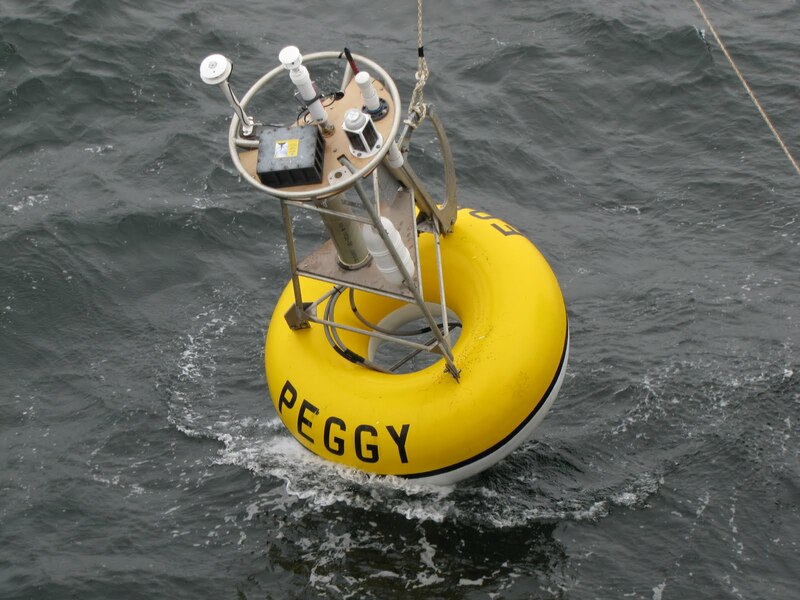 This entry was posted in 2010, Kathy Schroeder, NOAA Teacher at Sea and tagged chlorophyll, depths, mooring buoy, nitrates, Pacific Marine Environmental Lab, pressure, Pribilof Islands, salinity, temperature. Bookmark the permalink.